For luxury beach real estate in Mexico, look no more! Villa La Estancia Residences is sure to fulfil your dreams of a second home in paradise or a permanent relocation in search of the good life. 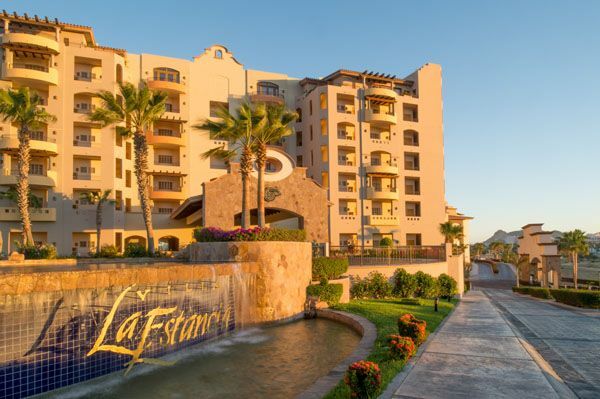 Life on the beach in Mexico doesn’t get more luxurious nor more affordable than at Villa La Estancia in Nuevo Vallarta on the Riviera Nayarit, with options for full and fractional real estate at a 4 Diamond hotel complex on the beach. Don’t believe us? Take a look at the reasons below why choosing luxury beach real estate in Mexico is one decision you will not regret. Nuevo Vallarta, and Riviera Nayarit in general, is among Mexico’s top beach resort destinations, being a particularly convenient choice for home seekers living in Canada and the United States because of the short and affordable flights. Only a very quick drive from Puerto Vallarta’s international airport, getting to and from your vacation home is easy for you and an attractive incentive for visitors and renters alike to come and visit. If there is one thing that you can say about Villa La Estancia luxury beach real estate, is that the sun will shine on you more than 300 days a year. Banderas Bay, which includes the tourist destinations of Nuevo Vallarta (Riviera Nayarit), Puerto Vallarta and Punta Mita claims hot sunny weather for more than 80% of the year. Say goodbye to your socks and sweaters, say hello to flip-flops and sun hats. Villa La Estancia luxury beach real estate provides you with so much choice in terms of exclusive properties located within a 4 Diamond 5 Star hotel complex. You can choose from two and three bedroom residences and luxury penthouses as well as opt for fractional purchases with a choice of 1/4 (12 weeks) or 1/8 (6 weeks) fractions. You could also begin by investing in a fraction and later use the equity towards full ownership with developer financing also available for a limited time only. When you purchase Villa la Estancia luxury beach real estate, your property will be located within the grounds of a 5 star hotel that offers all the luxury facilities you would expect of a world class resort. You will have use of the swimming pools, loungers, access to the beach, spa, gym and restaurants etc. You will live the life of a guest at one of Nuevo Vallarta’s top hotels yet be treated to all the benefits of an owner. Making Riviera Nayarit your home, whether for only a few months each year or as a permanent residence, you will notice that this is one of the most friendly places you will find. Not only is it part of Mexico’s hospitable nature that you will be met with the friendliest locals, but you will also find a host of expats ready to invite you to a golf tournament, fishing excursion, salsa class or book club. Making a new life in Mexico, doesn’t mean you have to leave you favorite hobbies behind. If luxury beach real estate sounds like the kind of properties you are looking for, why not explore this website further to find out how Villa La Estancia can make your dreams come true or contact us directly.